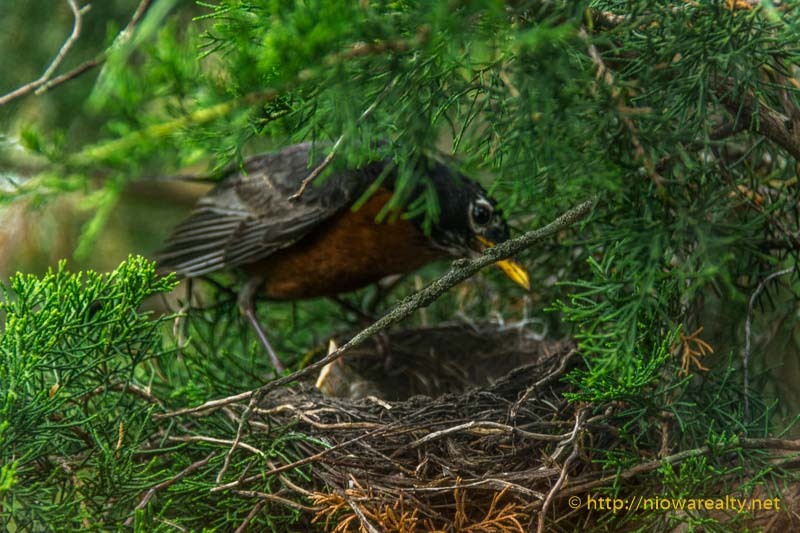 Share the post "Even the Smallest Nest"
Fortunately, Mason City was not hit with the sleet last night that was predicted. I always fear for people, especially the elderly out walking on the ice glazing that the sleet storms leave behind. Each day that passes gives us one less cold and sometimes dangerous winter day before Spring arrives. On a continuing course of selling homes in North Iowa, I still cannot get over how people can live in homes and then one day simply leave without batting an eye. I showed a rather expensive bank foreclosure over the weekend that is located in a popular as well as pricy district. There were holes in doors, drywall that had been repaired in a sloppy fashion, stains on the carpets, and a grimy refrigerator standing in the attached garage. Even looking at it on the outside you could see the careless and destructive tendencies of the previous owners. I was mortified to have pointed out to me by one of the buyers a mouse that was trapped inside the egress window well that was munching on a deceased friend. Every time I read about the cannibalism that takes place with some starving animals nearly turns me inside-out. It caused me to recall a news clip I watched where an abandoned ship was found floating off the English where there were cannibal rats still living. I guess when it becomes a life or death situation, the survival instincts kick in and they do what is necessary to sustain life.